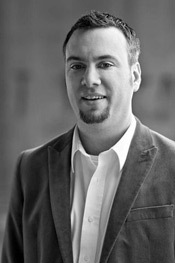 Today it’s a pleasure to introduce Josh Berk as my featured guest. If you would like to leave questions or make comments, please use the comment section below. Featured guests enjoy hearing from readers. Thanks! What drew me to writing initially was being a reader. I come from a very literary family and there were always tons of books around the house. Reading was a highly encouraged, actually required, activity in the Berk home. I’m not going to lie – when I was a boy, I did go through an “uck, I hate reading” phase. But my parents didn’t give up and by the time I was ten or so I found books I loved. I was hooked. My favorites at that age were fantasy series – things like C.S. Lewis and Lloyd Alexander. And they were just so much fun to read that I had the thought: “I want to do that.” I started writing my own stories, basically rip-offs of Narnia (but hey, I was ten!) and found that I had a bit of talent at it. I loved the feeling that writing gave me and that has always stuck with me. What keeps you writing now? Eventually writing just became a habit – something I couldn’t not do. I constantly have story ideas, character ideas, and lines of dialogue in my head that I feel like I need to get down on paper. And some of these characters really tug at me. It’s like they’re these people living in my head, dying to get out, dying to have their stories told. Yes, I realize this makes me sound like a crazy person! I kept a diary (password-protected!) on the family computer starting from when I was about ten years old. I wish I could read those files now! But alas, they are on giant floppy disks (the type that actually flopped) and the old Apple IIc is long-gone. This journal was largely about girls I liked and my (always thwarted) plans to get them to like me. I no longer keep anything like a formal journal, but I do always have a little notebook in my pocket to scribble in. If I see an interesting person, or overhear a bit of dialogue, or something funny pops into my head, I like to write it down. How do you decide on a new project? Whichever one of those guys in my head yells the loudest gets to have his story told next. OK, also I run it by my agent. I always have a large running list of “potential book ideas” – usually just a title and a few sentence blurb. When it’s time to start a new project, I show this list to him and he’ll gently guide me towards what he thinks might be a wise next choice to pursue. And then I have to go back to the other guys in my head and tell them to be patient – their time will come. My wife is almost always my first reader. She’s very supportive yet pretty blunt when something doesn’t work and I feel very lucky to have that. I also have those fictional people in my head who hold me to a pretty high standard. They’re always looking over my shoulder to make sure I’m telling their story correctly. Yes, I know! Totally crazy. QHow do you write? At the keyboard? Longhand? In an office? At regular times? I used to be in a good routine where I’d go to the computer in the basement pretty much every morning, but now that I have two little kids at home, nothing is done at regular times! I just squeeze writing in around the craziness of life. Lately I’ve been taking a laptop to the super-quiet-only-if-you-even-sneeze-we’ll-stab-you zone of the local university library. I like it there. So peaceful. It’s interesting because my first thought is that children’s publishing seems to be more blockbuster-driven lately. You’ll have a book like Twilight or Diary of a Wimpy Kid and these books sell soooooo many copies that all anyone can think about is jumping on those bandwagons or becoming the Next Big Thing. I’m not sure what drives that – the business, the audience, the retail scene, or just the nature of the economy we live in. But I don’t worry about it too much. Because, despite that first thought, my next thought is that we’re living in a great and exciting time of diversity in children’s books. Just below that blockbuster surface is a hugely rich variety of books. There’s a great deal of cultural diversity and genre diversity as well. Every time I try to pin down the trends in publishing, something will spring to mind that shoots a hole in the theory, but I think that’s a good thing. It’s an exciting time. Every type of story imaginable is finding its way into print and finding a readership. The first thing I’d say is to read like crazy. When I started, I read hundreds (slight exaggeration, actually probably not) young adult books before I got serious about writing one of my own. I’m always a bit baffled by people who want to write in a genre they don’t seem to enjoy reading in. Secondly, I think it is so great to find someone who can be supportive yet blunt about your writing. My wife does that and I have some writer-friends (and my agent) who do it too. You don’t want someone who only tells you who great you are – you want someone who will help make your writing better. And then I’d say to not worry about the trends too much. As I mentioned above, the market is big enough for all sorts of stories. Listen to your heart, and yes, to the crazy people in your head. What’s the story you are meant to tell? Now go tell it. Sandy Asher met Josh Berk at a conference, was impressed, and suggested that I contact him with an invitation to be a Featured Guest. I did. And Josh agreed. I like his sense of humor and enjoyed his thoughtful responses to my questions. You’ll see those tomorrow. For now, get acquainted with Josh. I am the child of two librarians! I didn’t really ever think I’d be an author, but I always loved books. Some of my favorite authors as a kid were C.S. Lewis and Lloyd Alexander. In high school I discovered Kurt Vonnegut who remains one of my favorites. Later I became fascinated with authors like Jack Kerouac, Hunter S. Thompson, Charles Bukowski, and Tom Robbins. I didn’t study literature in school, but I did (of course) take a job as a librarian after college. I then went to grad school and studied young adult literature at the University of Pittsburgh. I got really excited about all the fantastic things going on in YA and started writing my own. A few years of blood, sweat, and tears later, I now am able to see these books on the shelves! I have also published poems and written for newspapers, but I love fiction best of all! Making stuff up is clearly what I was born to do. Yes, this is really Josh’s prom photo. Hair has not been photoshopped. I am married to Kelly Berk, the fine lady whose pictures you can see here. 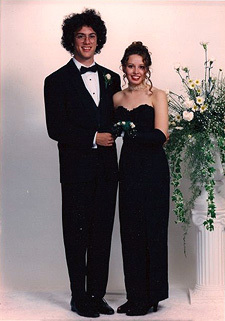 She went to prom with me even though I had that insane Jewfro. 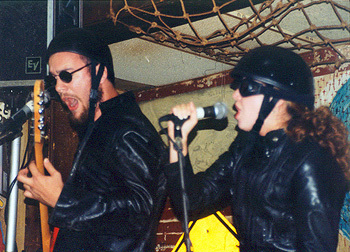 Later, she fronted a punk band I was in. These days we have two little kids. I love being a Dad. We live in a cornfield outside of Allentown, PA. We have two dogs who are more or less completely insane. Yup.